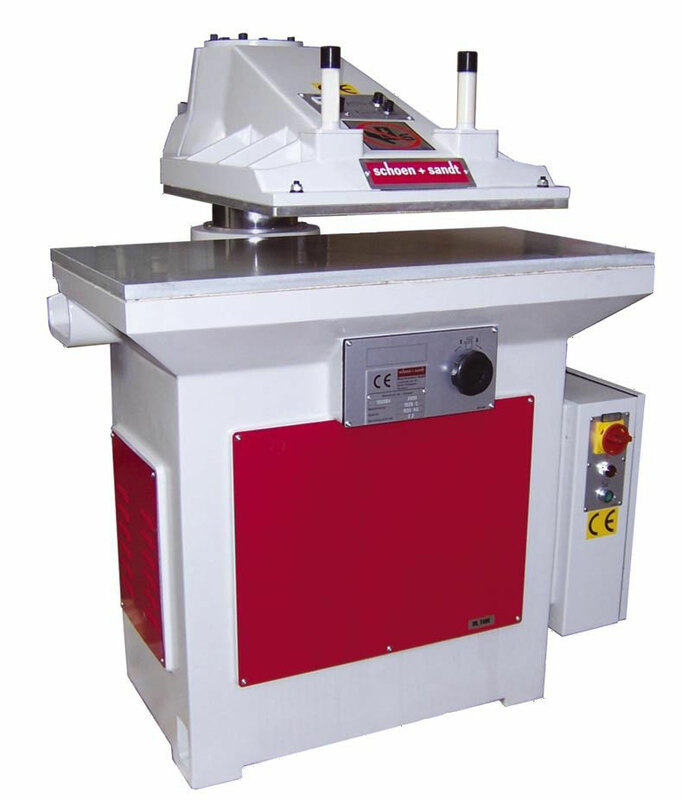 The four-column cutting machine is designed in a very solid welded steel construction. Due to its design, the machine is almost torsion-resistant and runs with a high degree of synchronism, which means that it closes almost parallel even under full off-centre load. Each pair of column is connected to a tension rod. The downward movement of the tension rod is actuated by one lateral hydraulic cylinder. With automatic lubrication of the column guidance. The machine is equipped with a cutting belt system and a clamping bar feed and can be optionally adjusted to customer requirements. Control system by touch panel and Siemens S7.